What is an Opilio Crab? 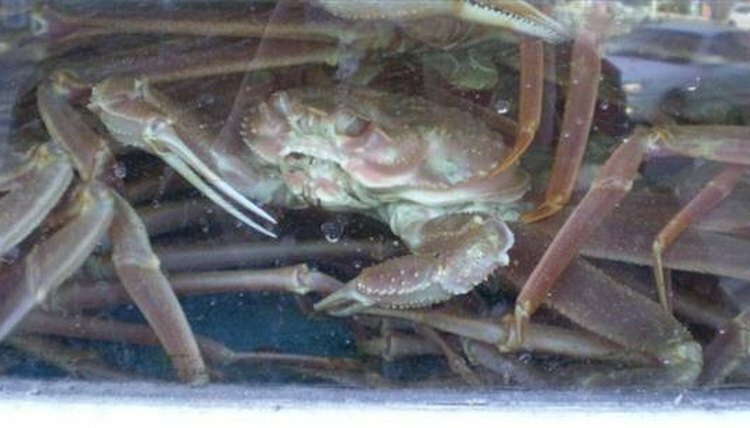 Opilio Crabs live in a very limited area of the world and are consumed mostly in the countries that harvest them, namely Russia, Japan, Canada and the United States. The opilio crab lives in northen shallow water parts of the Pacific and Atlantic Oceans, primarily around Alaska, Russia, Quebec, new Brunswick and Newfoundland. The opilio crab has four pairs of very long legs that make the rest of the oval shaped body seem small. The crab weights between 2 and 5 lbs. The opilio crab has a red/orange colored back and legs that are orange near the body and tan or white on the bottom. Opilio is fished commercially as a food item. The season is very short--just the month of January.